My June Birchbox finally arrived today after taking it's sweet time to get here! Okay it really wasn't that long but it feels that way I hate being the last one to get these boxes, I can never resist peaking. Initially I thought I would be really disappointed with this box but I think now that I have it in hand I'm a little bit happier about it. So lets get into it shall we? Now we all know how super pale I am and using these has the potential to be very disastrous but for you guys I will do it! I don't know why but I thought they would be the size of those wet napkins you get in restaurants but they look much bigger so I will give it a go tomorrow and show you all my super pale legs and the results in a future post! Another product to make me less pale? What is Birchbox trying to say here...? Am I too Pale?! Regardless I will also give this a go. The swatch on my hand is what it looks like right out of the bottle however when it's rubbed in it is incredibly sheer. So much so that I couldn't get it to show up on camera so I will play with this a bit and see how it goes. I can't stop staring at the awesome helix design it has going on in the bottle too it's mesmerizing! I was really excited to try this out of everything else in the box. It is really pretty I already put it on and have been eating and drinking and it still looks fresh! It feels nice too but I'll test it out some more before I let you guys know If I truly like it or not. I don't really mind perfume samples but it they insist on sending them please make it be the one with a spray top. I am a klutz ad I have already spilled some of this on my hands... It does smell nice tho not too strong but very fruity. Bleh! Bleh! Bleh! I don't know what kind of peanut butter cookies they have been eating at this place but this was more like stale cardboard covered in peanut butter. It wasn't absolutely horrible and maybe it is just this flavor (if you like cookies that don't' actually taste like cookies..aka healthy cookies) but it is for sure something I wouldn't buy. I take mine with extra sugar please! Are you a Birchbox Subscriber, what did you get in your box? I got the towelettes and staniac in beauty queen! 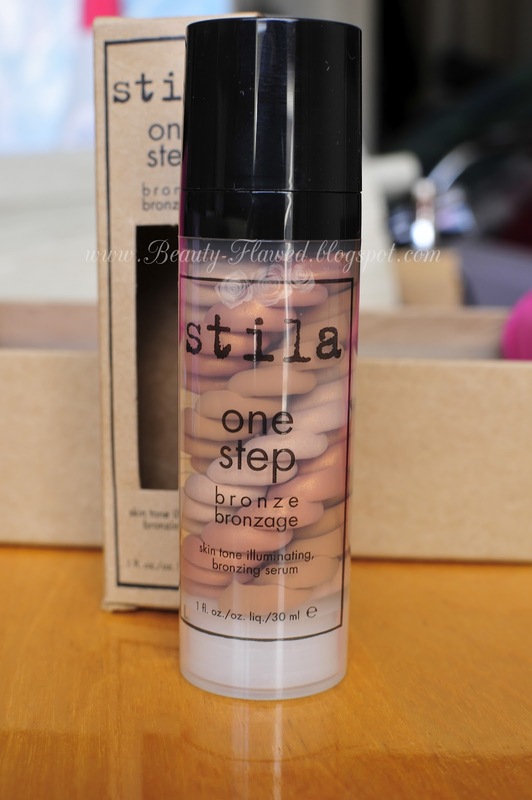 I want that stila one step bronze!!! Lucky gal!! Aww thanks! I don't know how well I'm going to like it has a lot of shimmer to it but we'll see it sheer's out quite nicely. Yup I'm jealous! Even if I had stayed this month I bet I wouldn't have gotten the stila and balm products, I have bad luck with Birchbox. 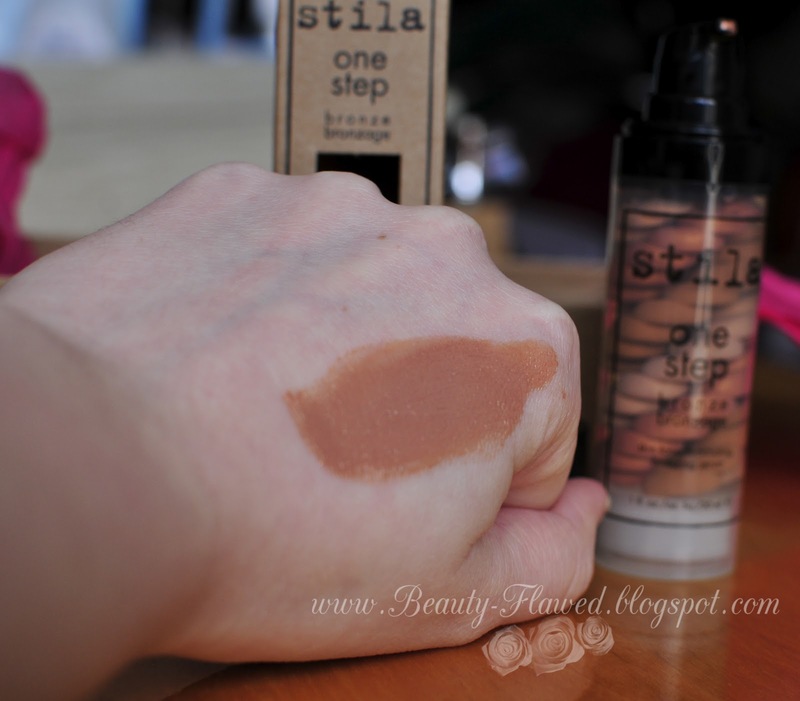 No need to be jealous ;) I think I have gotten really lucky this is my 2nd stila product from them. this is SUCH a great box. I am very jealous. Lots of great summer stuff. I'd love to try those bronzing products. I need some color. Your skin is so pretty already, you should sign up for birchbox I think they would have lots of stuff you would like. Looks like you got a really great box! Why thank you sweet of you to say. Yeah I'm going to for sure so we'll see how it goes I'll post pics! i'm curious about the tan towels...let us know how they work! and that balm sounds great! Looks like you got some nice stuff in there! You got a great box! I wanted that stila bronzer. It looks so fun! It's really shimmery I'm going to have to try it out a bit more for sure. looks like you got some goodies in the box!! Wow! The products this month look great! Yeah I much more happy about them now that I have them in hand. I love anything Stila!! That bottle is pretty mesmerizing!! And the lip balm stain looks like a winner too!!! Not too shabby!! Looks like one of the better boxes I have seen. I know right I can't quite looking at it! oh em geeeee Ashley, that bronzer looks really dark! But the packaging is super pretty! It does but once you blend it out you can barely tell it's there I couldn't get it to show up on camera! It looks pretty nice to the naked eye. There are so many beauty boxes - How do you decide which one is right for you? Well I have three different sample subs right now and I like each for different reasons I'm all about trying stuff out. So I guess it really comes down to personal taste in the end. I hated my box so much this month, UGH. And I so feel you on the "WHAT IS WRONG WITH MY PALENESS???" thing. I do think the bronzer looks beautiful! I was a little sad that I didn't get it, but I know even if I did I would not have used it, I just don't like the way bronzers look on me, my undertones are too pink. 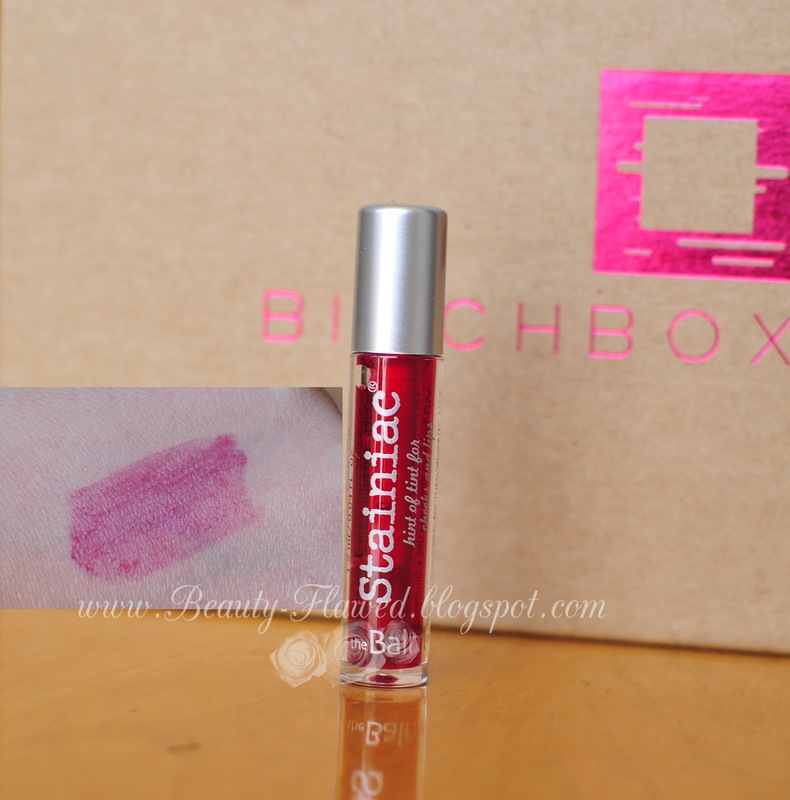 I've had the full sized Staniac for a while now, and while I like it a lot as a lip stain, I absolutely love it on my cheeks! Sooo pretty and sheer. I like Wonderstruck, but I agree with you - please send out perfume samples with spray tops. I dumped a whole vial of the Atelier Orange Sanguine in my work bag and the whole thing smells like an orange bubble bath now, even months later. And I HATE Luna bars. Hopefully next month will be a better BB month, though I'm leaning toward canceling. I know right! Are they trying to tell use something?! lol I have tried it a bit on my cheeks to and I'm with you it does look great. Yes I spilled more of mine the other day it doesn't smell very good when it that strong from spilling lol. I don't know what they were thinking with those they are gross! I also got the tanning towelettes and I'm so white that I'm almost scared to try them. Can you please let us know how your experience was. I wasn't too impressed with this month's box, but do look forward to July's, since they are teaming up with Glamour mag! I have used mine already and I have a post coming up about them soon, I was pleasantly surprised by the results! LUNA is my travel buddy! Keeps my from going hungry on the plane as well! Crazy box! You got Stila! Lucky. :) I'm pale too so I couldn't have used it though, but still - nice stuff. I loved the Luna bars that were in the boxes this month it was so good! Love that gloss!! Im glad its lasted through eating and drinking! I got the same box as you and I absolutely adored it! After last month I was considering cancelling my sub, but this one made me so happy. I never use bronzer, but this one is perfect for under my Clinique BB cream.